Pollensa is a popular beach holiday resort in Majorca, Spain. Holidaymakers may find great day out activities and entertainment in Pollensa. A great day out at the beaches in Pollensa and enjoy sun and sea is also one of the greatest things to do in Pollensa. As for beaches in Pollensa; there are two main beaches of Pollensa on Puerto Pollensa and Pollensa Bay. The fisrt beach is Pollensa beach that is located on the south of the Marina. The second beach is called Albercutx beach and runs from the Marina north in front of the Pine Walk. For the ones who want escape the crowds, Formentor beach is another great choice. Holidaymakers may catch a boat from the marina of Pollensa to the secluded cove of Formenter and enjoy the Formentor beach. Holidaymakers may also find variety of water sports on the Pollensa Bay such as water ski, jet ski, banana-riding, pedal boats and paragliding. In addition; scuba diving along the beautiful shores of Pollensa is also a great attraction in Pollensa for diving lovers. Pollensa beach is one of the main beaches in Pollensa. 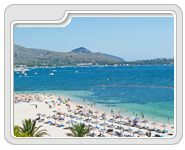 It is located on the south of the Marina on Puerto Pollensa. Pollensa beach is fine white sandy beach. 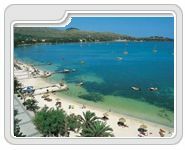 Pollensa beach is 9900 meters long and 40 meters width with fine white sand and crystal clear waters. Albercutx beach is one of the main beaches in Pollensa that runs from the Marina north in front of the Pine Walk. Albercutx beach is fine white sandy beach. It is 2300 meters long and 40 meters width with fine white sand and crystal clear waters. For the ones who want escape the crowds, Formentor beach is another great choice for the beach lovers in Formentor. 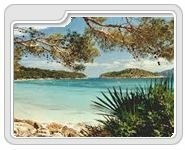 Formentor beach is 1000 meters long and 12 meters width with fine white sand and crystal clear waters.